Town Hill is Where it all Happens! 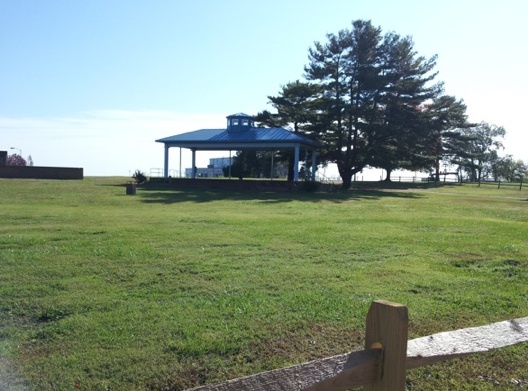 Town Hill in Colonial Beach is the large grassy area at the corner of Washington and Colonial Ave. Housing a brick "welcome" sign as well as flagpoles, a gazebo, a couple of outbuildings and a performance stage, this is the place where most big events take place. 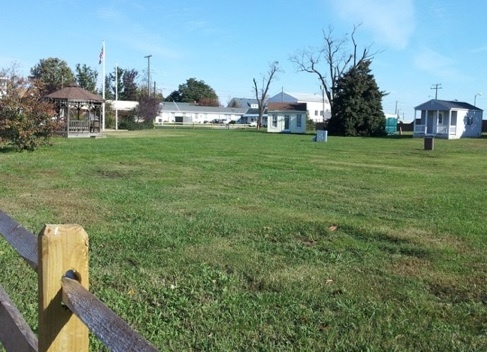 With plenty of room for parking, some nice shade trees and great views of the Potomac River, this area, sometimes referred to as "town commons" is really a great gathering place. Watch for signs when parking, as part of the parking area is designated for customers of the Riverboat on the Potomac. 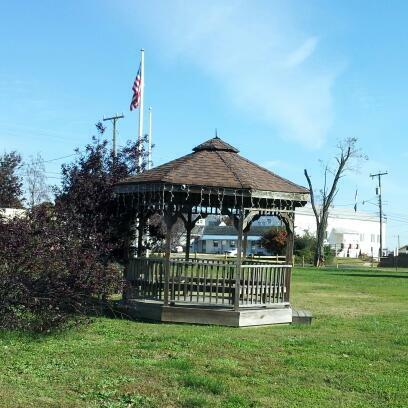 Gazebo - a great shady spot to take a break and sit down. Located just behind the "welcome" sign. Town Stage - commemorative bricks at the base of the stage are what helped to build this great structure. Large trees behind the stage provide a great backdrop. Welcome sign - announces upcoming events and makes a great first impression with its beautifully manicured landscaping and stately flagpoles. Car festivals such as the Rod Run, Father's Day Classic Car Show and the All Wheel Show. Seafood, Wine & Art Festival which was originally planned for October 2011 and 2012, it has been postponed yet again. The grand Colonial Beach Hotel used to stand here before it was demolished and replaced with the Days Inn, later The Beach Inn, it is currently called River Edge Inn. They used to hold Family Movie Nights here. Hopefully, these "Screen on the Green" events will return soon. "The Little Train" used to be set up on a track here, and provided tons of enjoyment for residents and visitors alike.